Nominations are now open for the six voluntary positions on the Students' Association's Executive Committee! Being on the Executive Committee is your opportunity to improve the student experience at City of Glasgow College by representing the views of your fellow students and influencing change. As a member of the Executive Committee you'll undergo a skills training programme tailored to what you are interested in learning and gain valuable volunteering experience that will impress future employers. It's also a lot of fun and you'll get to have your say on what events we run and how we spend our budget of over £30,000 making sure our students enjoy their time here at City. We have six different roles available and so there is something to suit many different interests. You must be continuing at College after the summer to stand for one of these positions. Once you've decided what role you'd like to stand for, all you need to do is to complete our simple nomination process and we'll support you through the process of standing for election. The deadline for submitting your nomination form is 5pm on Tuesday 7th May. 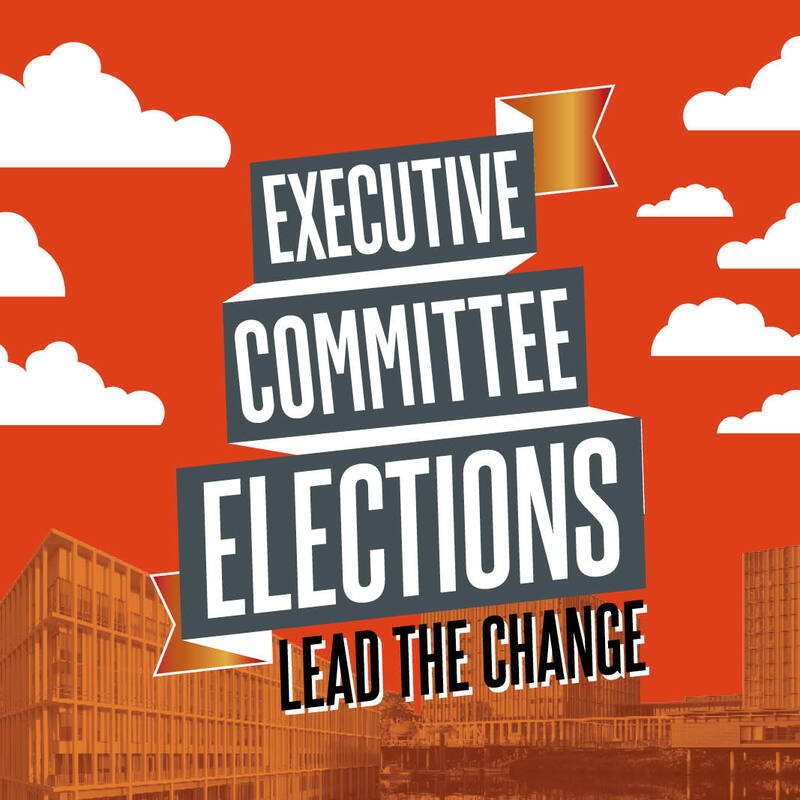 Please download the Executive Committee Elections Information Pack for full details. In order to take part in our elections all you need to do is complete a nomination form and create a manifesto (a leaflet that says who you are and why people should vote for you – we have some tips on how to do this). Once you've sent these to us we will email you inviting you to attend one of our Candidates' Briefing events where we will explain the election rules and give you some guidance on how to campaign effectively. You'll be able to nominate yourself online from Tuesday 23rd of April until Tuesday 7th of May at 5pm. We'll be there every step of the way to explain the process and the important dates and times are in the table below. *Candidates only need to attend one of these sessions and alternative arrangements can be made if you are in class at both times.